Triumphant Victorious Reminders: March 16, 2010, "You Reign"
"The voice of the LORD is upon the waters: the God of glory thundereth: the Lord is upon many waters." Humbled is all creation; all living creatures, great and small declare, "You Reign"! Lord, I am humbled and woo'ed to seek Your glorious face. My eyes must stay fixed on You! Your glory is made manifest upon the earth as the smoke from the mountains reveal their mighty destructive power! The jagged peaks reveal the beating heart of the earth; peaks that are raised above the clouds show Your glorious Handiwork! Jesus! Thank You for revealing The Father's Glorious Love! Thank You for revealing His beauty as His majesty is enthralled by great adoration of Who He is! You are Glorious! You are Mighty! You are More than Worthy! More than worthy to be praised! (I Kings 8:27, II Chron. 2:6, II Chron. 6:18). Containment itself would not dare attempt to contain You, Almighty God! Lord, Your praises must be heard throughout all the earth! You are awesome O God...beyond what my mind and mouth could articulate into words; you are far greater than even a mass of words placed together with great eloquence. You are far greater than what every part of human kind's vocabulary could attempt to muster; only failing at such a feat attempting to describe Who You are! You are Glorious King! You are Glorious Lord! You are Glorious! It's been awhile since I've commented on one of your posts, so I figure it's about time again!! 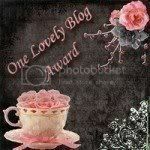 :) I always love and appreciate your faithfulness to write and share His Word through your blog.